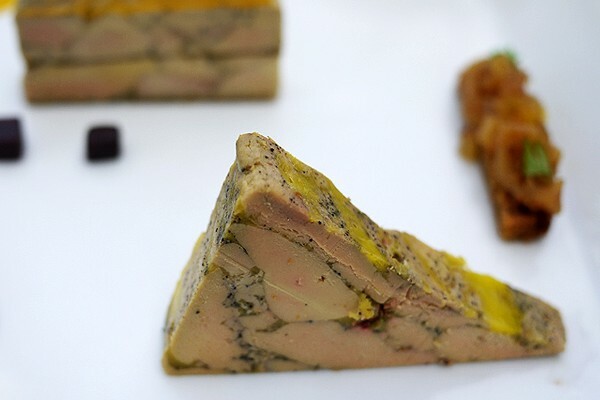 In Périgord, Dordogne France, it’s always foie day. It happens to be the foie gras capital of France (and the world), producing 90% of all foie consumed in France. And the French consume a lot of foie: 18,450 tons — 78.5% of the world’s estimated total production. This region also produces high-quality almost-Bordeaux wines at a fraction of the cost, sometimes poured for you in the wine maker’s own kitchen. But back to foie. Ducks and geese are inclined to eat as much food as you give them, so force-feeding is actually not a necessity. This is something we’re all familiar with; it’s not unlike the US population residing in middle America. Producers should give up force-feeding machines and let the birds eat three times their weight naturally so we can still eat foie in California! Alas, with the recent foie gras ban in California, we are now forced to travel to nearby Los Vegas, where it is plentiful and permanently on the menu — no morals there — or preferably to the Dordogne in France. It was there that I actually ate 5 different kinds of foie gras in one day! And it just might have been the best day of my life. After visiting Bergerac’s town market that morning, we found the only Michelen-starred restaurant in the area: La Tour des Vents. We sat on the outdoor deck, overlooking the valley of grapes and geese. First course was traditional foie gras mousse served in a small ramekin, with a hard brûlée top and a bite of salad on the side, shown above. It was like a foie-savory creme brûlée…quite possibly the most delicious thing I will ever put in my mouth. For my main, I ordered a trio of foie gras — just to make sure I tried them all! All three were terrines: 1) marbelized black pepper (center), 2) maple and spice cake with mango/cherry jelly (left) and finally, 3) traditional on toasted brioche with seasonal fruit chutney and aged balsamic (right). It was heaven, especially paired with the local sweet wine that actually works better than Sauternes: Monbazillac. And when we returned to the hotel later that day for dinner, we found our hosts busy cooking in the kitchen for us. And guess what they were preparing for us that night? You guessed it, homemade foie gras, pan grilled and served with lentils and cured duck slices, shown above. It really was the best day ever.